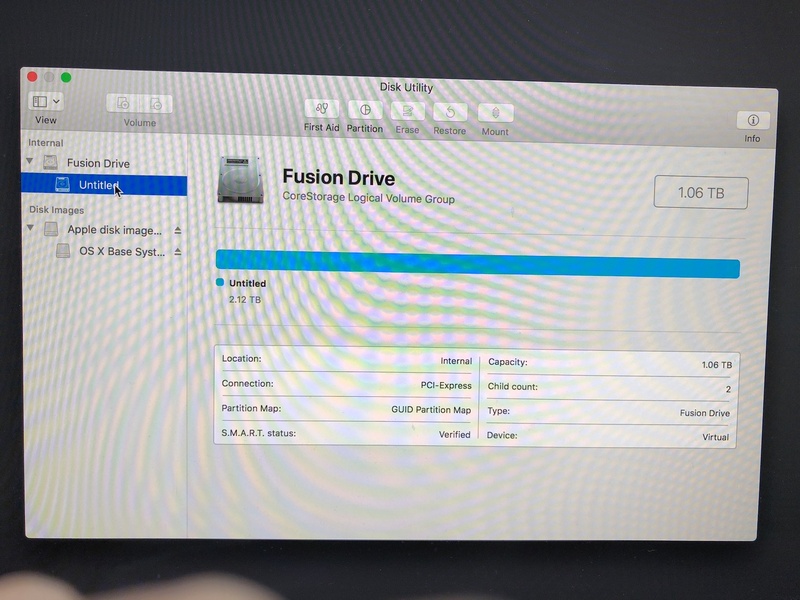 My iMac has a 2 TB Fusion Drive. Our PC IT guy seems to screwed it up. Now I only have 1 TB of usable space. I tried formatting, repartitioning, but nothing works to gain that 1 TB back. I don't need the data in it as this is a new iMac. I don't have my MacBook so I can't make you some screenshots, but setting new partition should show you your all disk. But on your second screenshot, I can see that the Untitled part is 2.12 TB. Did you tried to proceed to the install of macOS and then see if everything is all good ? A similar thing happened to me recently. Follow what Chris said, if it works, that is fine! If not, make sure you have backed up all your necessary files into a separate storage. And try formatting the whole drive, you should be able to re-create the partitions and use full 2 TB and then re-install MacOS. Not the answer you're looking for? Browse other questions tagged hard-drive high-sierra disk-space . SSD upgrade for 2013 21" iMac? 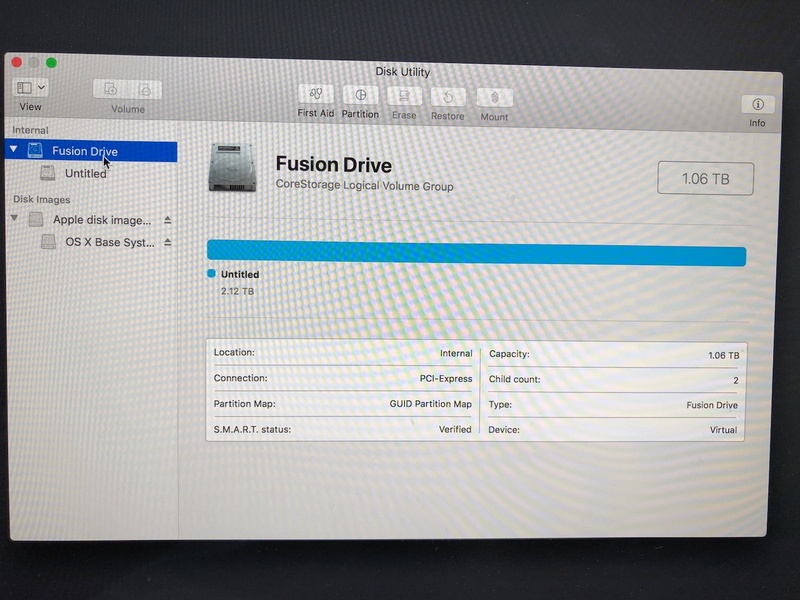 Copy files from a hard drive onto an iMac?